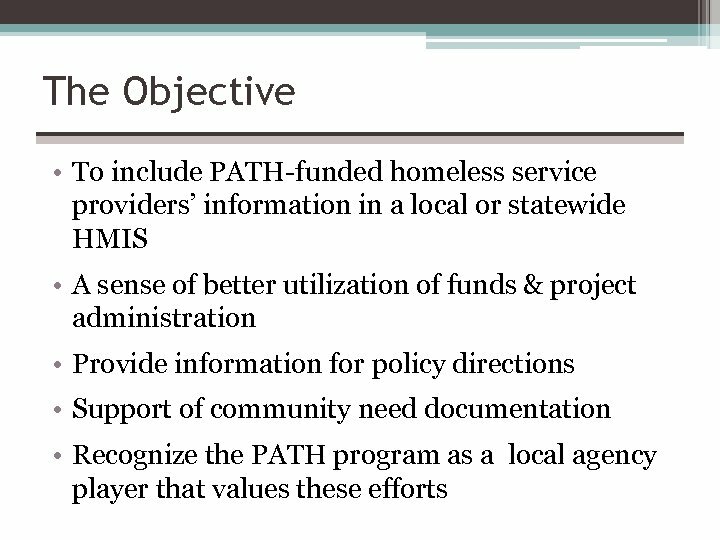 What is PATH? 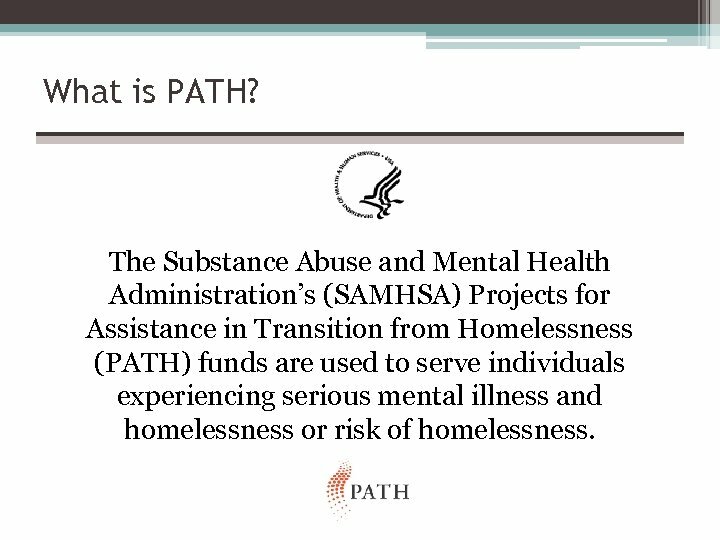 The Substance Abuse and Mental Health Administration’s (SAMHSA) Projects for Assistance in Transition from Homelessness (PATH) funds are used to serve individuals experiencing serious mental illness and homelessness or risk of homelessness. 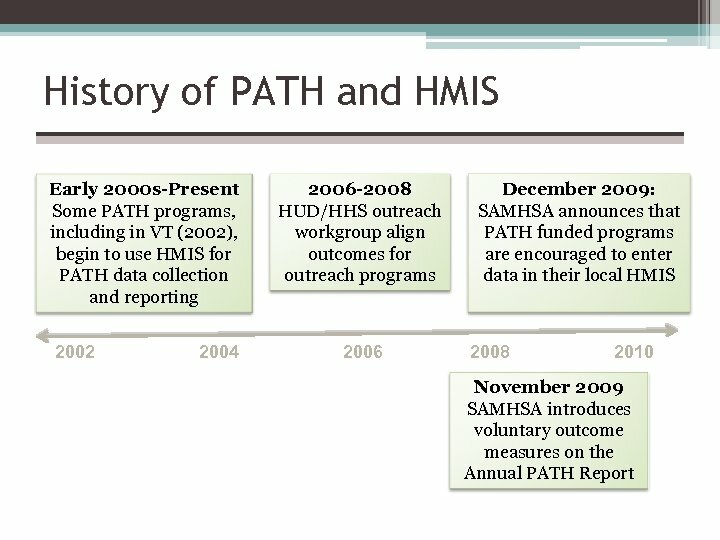 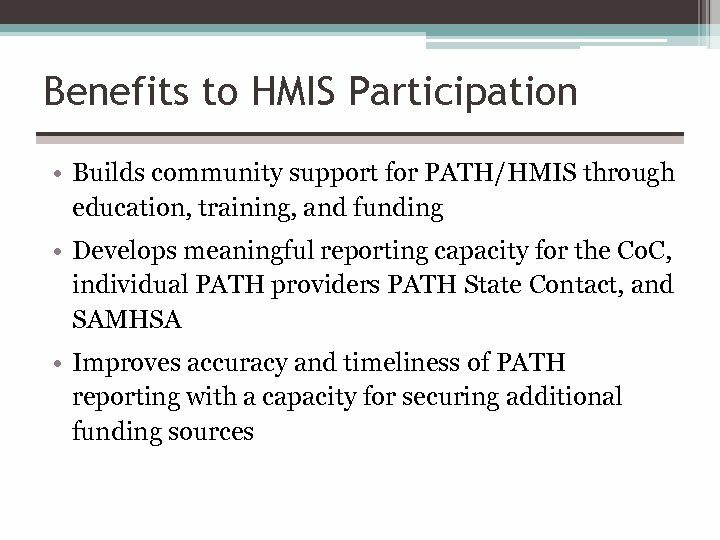 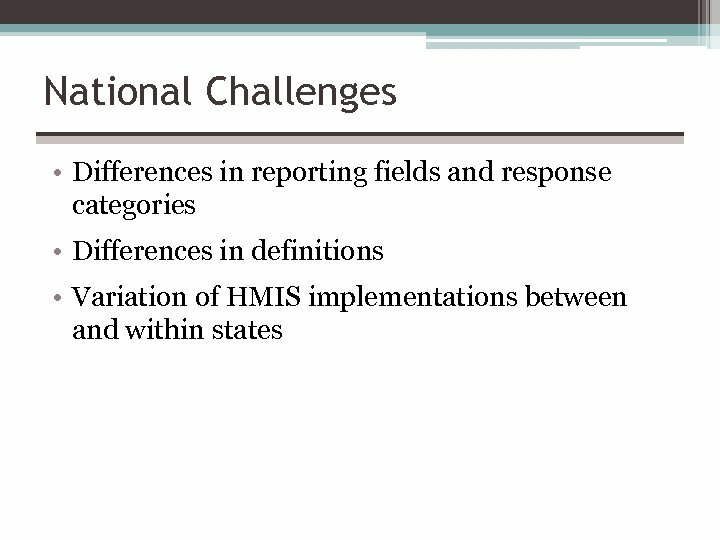 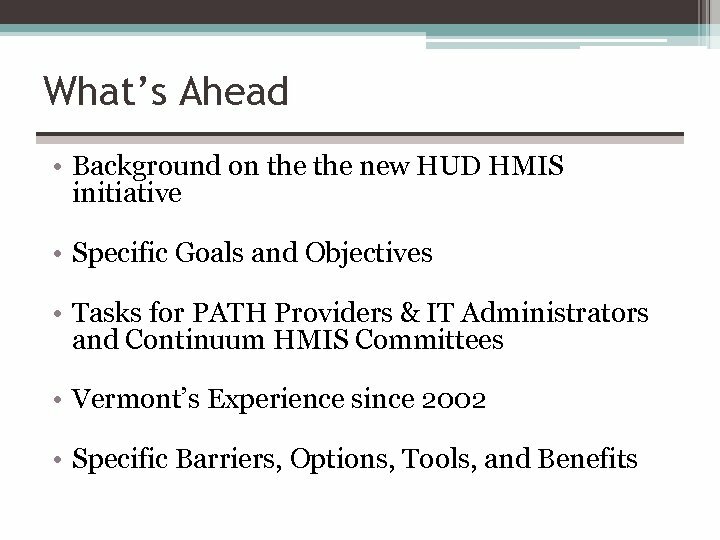 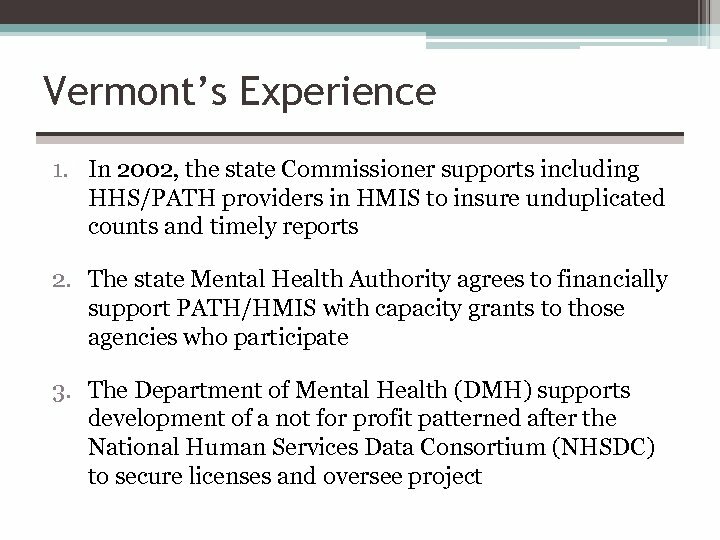 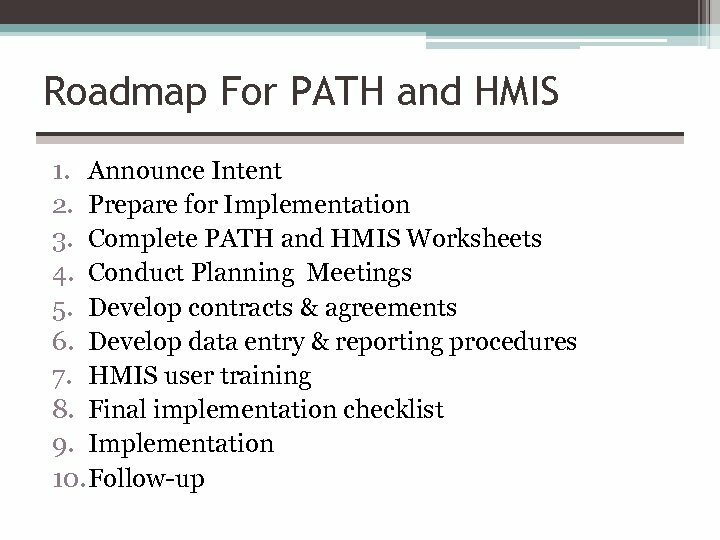 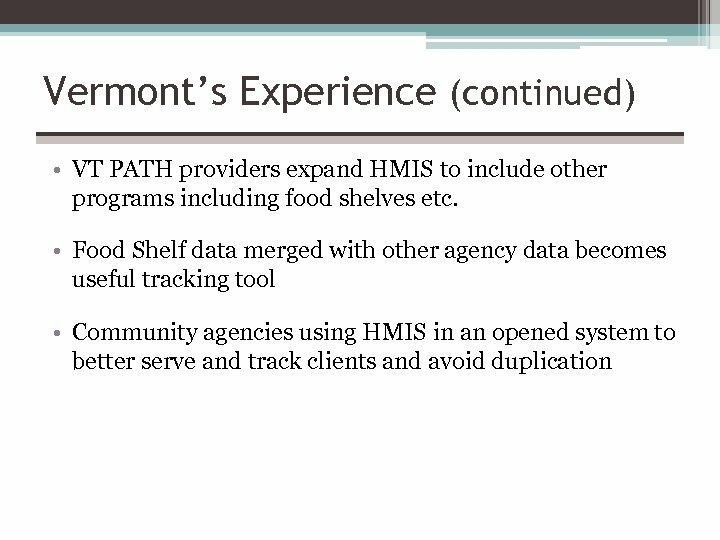 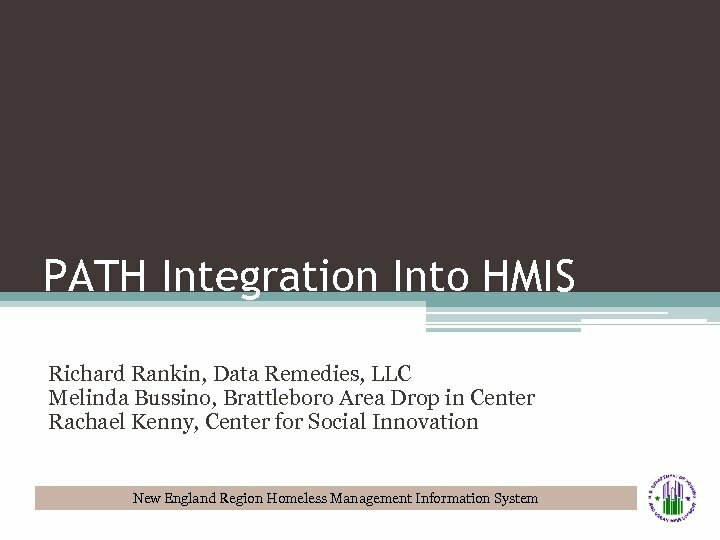 Summary • The goal of including PATH providers in HMIS is to develop a more comprehensive system that recognizes the strengths and capacities within a community. 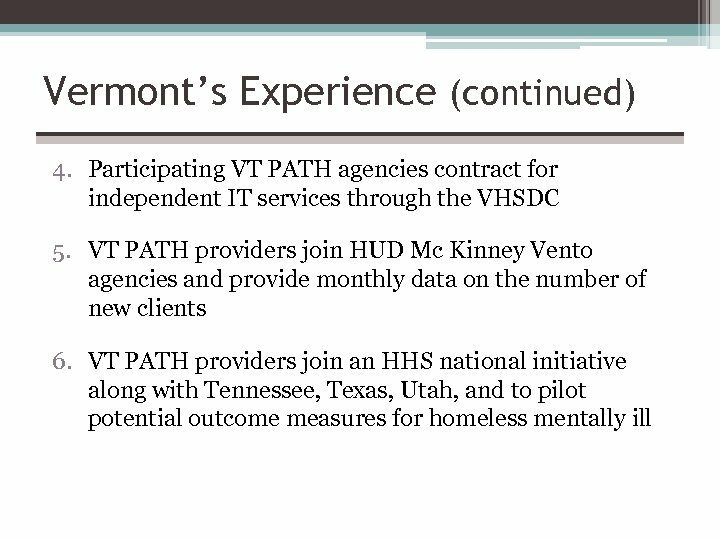 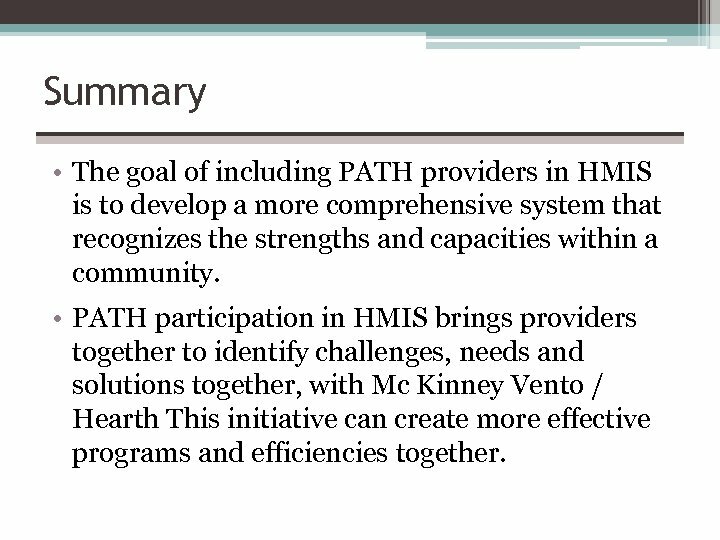 • PATH participation in HMIS brings providers together to identify challenges, needs and solutions together, with Mc Kinney Vento / Hearth This initiative can create more effective programs and efficiencies together. 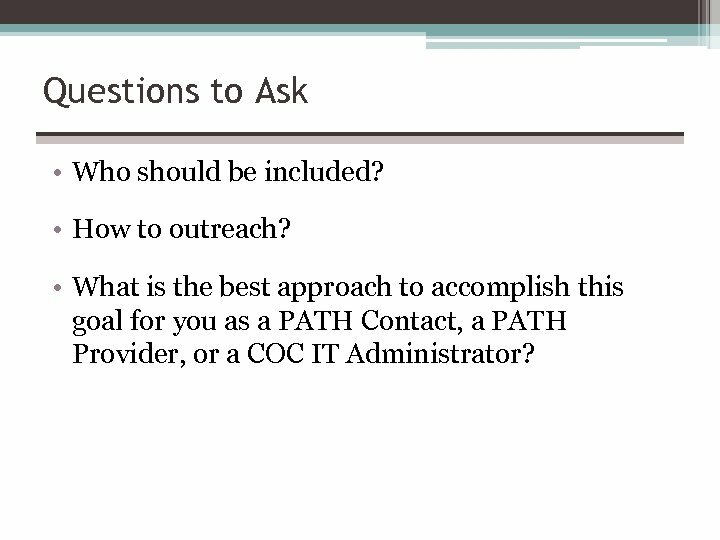 Questions to Ask • Who should be included? 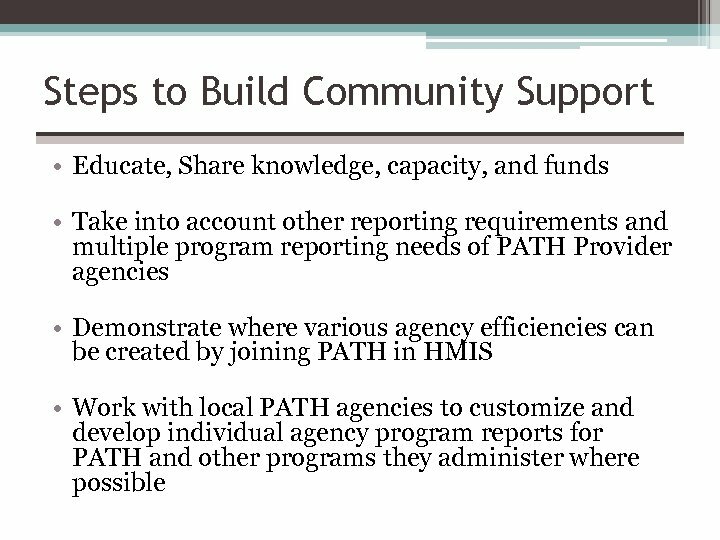 • How to outreach? 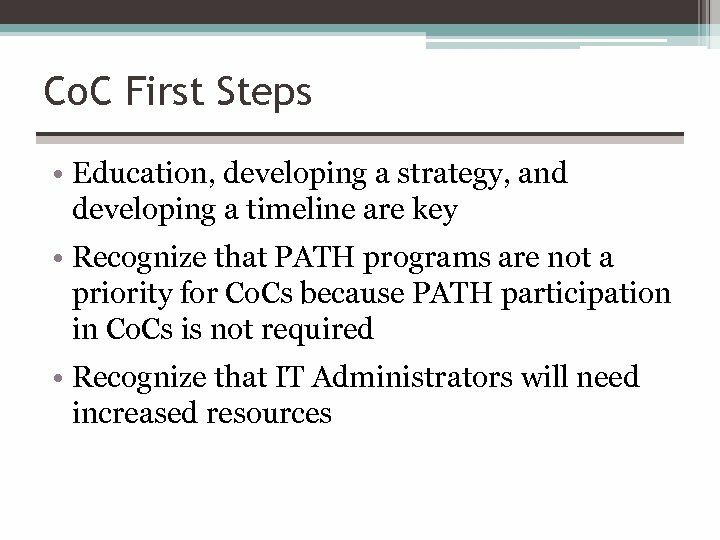 • What is the best approach to accomplish this goal for you as a PATH Contact, a PATH Provider, or a COC IT Administrator?